Don’t take our word for it! Read what past participants have said about their Immeasurable Minds experience. 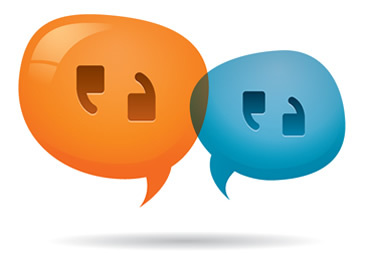 There are detailed verbatim testimonials here to download and read (Word doc or pdf format) I have all originals on hard copy file. On the media page there are two .pdf documents of Belfast Telegraph newspaper articles by Bridgeen’s former students talking about how mindfulness changed their lives! EVEN more 2017 testimonials – with photos too. 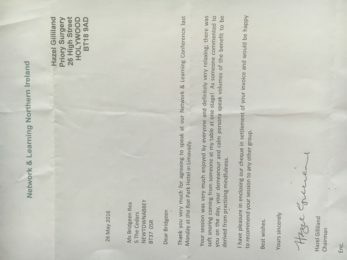 8-week Mindful Self-Compassion (MSC) Testimonials 2016-17-18 – so many to type such positive feedback on another wonderful course. 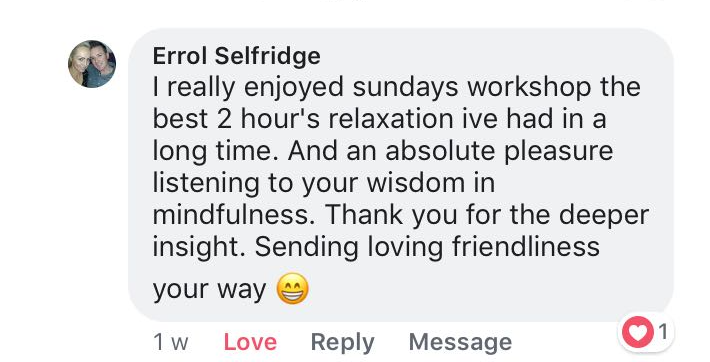 Maitri Testimonials from the Sunday Sessions or the Mindful Self-Compassion workshops I’ve been running there every month from May 2014. Culloden Retreat Feedback – coming soon to be typed up! Envisioning Retreat 208 feedback – coming soon to be typed up! 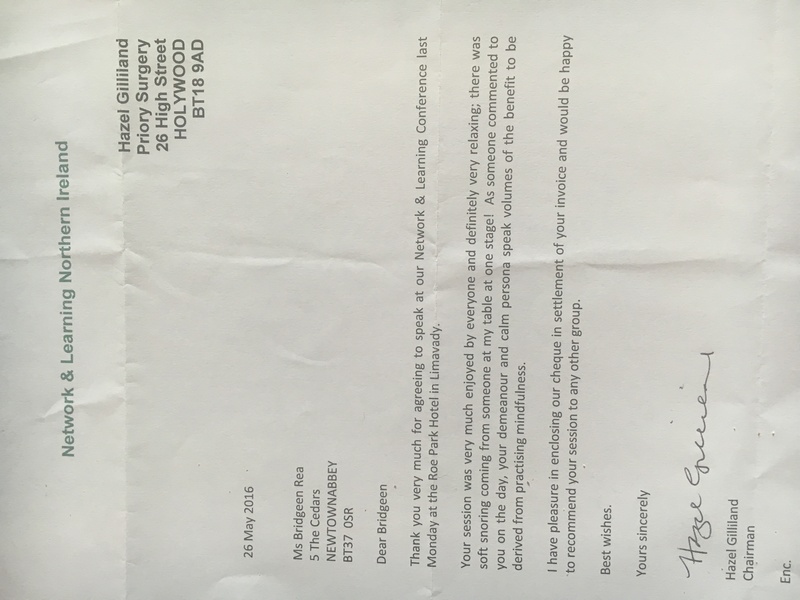 I also have many business testimonials like this one from TESCO – see this section for more like this and more info on my Mindfulness Works programmes. I was crippled with fear and anxiety and took about 20 panic attacks a day. A friend suggested meditation might help. From day one I felt a difference... now I can breathe through it and calm my mind and reduce the anxiety before it builds out of control. Health is a big motivation for me taking up meditation. There is a lot of stress connected with my job... I feel meditation gives me some clarity and helps me find the tools to handle it. I find that it helps me stay calmer and clearer for longer. I didn’t really understand how mindfulness could help me previously. I now understand that it helps me to stop and respond rather than react. Learning to breathe and use this as a coping strategy was very good. I think there was a cumulative effect. The course helped lower stress, helped wake me up again to all of life’s marvels. To remember to look around me helped in both personal and work life. 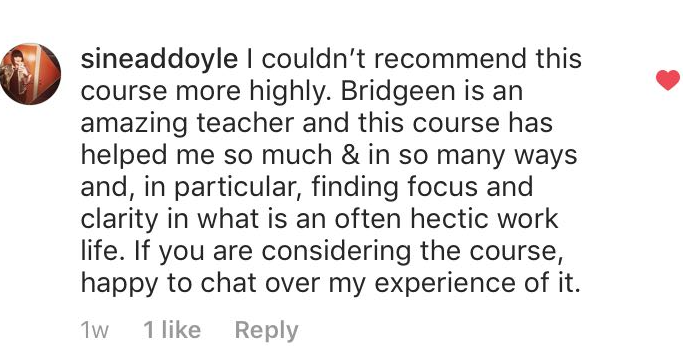 Bridgeen was a fantastic teacher, felt really comfortable working with her. I now have a commitment to myself to have a mindfulness day once a month. I would never have felt I had the time before but now I realise it's about priorities and I’m important. Being more present has made me more aware of the positive things around me. I am now aware I can be different. 8 weeks ago i found it hard to sit still for 5 minutes, now I find I can do it and want to do it (and enjoy it!) for half an hour a day. I found this course, very practical, beneficial and useful. Bridgeen is lovely. It’s a fantastic course, it has helped me personally and therefore professionally, thank you. I will use all my newly learned techniques to help me with my family life, to improve and enhance our relationships. I will try and remember in my busy days to be kind to myself, to stop beating myself up so often. I will try and accept and just be! 10/10 - I have given the course this rating because i found it extremely beneficial in all areas of my life - physical and emotional. Thank you so much, was a wonderful experience. This is a really worthwhile course! I used the programme for stress management and self care. [It] has taught me to be more aware, grounded and in control of stressful situations. It armed me with knowledge and skills that have changed my life.